It is an American holiday to honor the birthday of Dr. Martin Luther King. King was born on January 15, 1929, in Atlanta, Georgia. 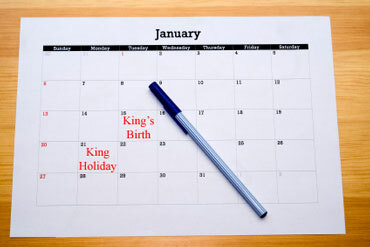 Martin Luther King, Jr. Day is on the third Monday in January. Was Dr. King a good student? Yes, he was. He finished high school when he was just 15 years old. 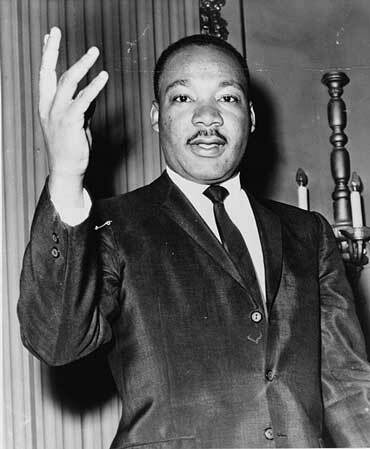 Copyrights to the pictures and photos on this Martin Luther King, Jr. lesson belong to individual photographers. We have purchased the rights to use them. Do not copy the images on this site. Permission is granted to copy any of the worksheets for classroom use. Contact Christina Niven, ESL teacher, at christina@elcivics.com. Please send corrections, comments, greetings, and requests for new lessons. Copyright © Christina Niven, 2007.